Almost 10 months ago to the day, a frustrated and bitter-looking man left Mestalla after Real Madrid had drawn 2-2 with Valencia, scorned by part of the Spanish media in the aftermath of the game and ignored by the rest of it. The easy target for the game was the manager, Rafa Benitez, who was duly sacked from his post shortly afterward—but the frustration was etched on the face of another: central midfielder Mateo Kovacic. 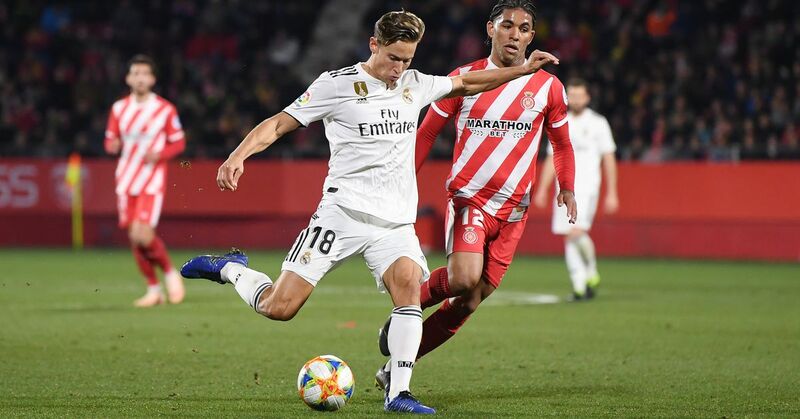 The Croatian had been handed a rare start, just his fourth of the season in La Liga, and while he had impacted on the game positively for a period, one moment of rashness effectively ended his season. A lunging tackle, a straight red card, and that was it—Real drew, Benitez went and Kovacic was consigned to backup with immediate effect, playing 90 minutes in the league only twice between that point and the end of the season, while missing out on nine games entirely of the 20 which remained. The best part of a year on, Kovacic has finally grown into the player Los Blancos knew they were getting from Inter Milan, and he has become, in his own way, as important to the team this term as Casemiro did in the second half of last year. Initially, Kovacic was trusted by Benitez. Not often, and not to start, but he was handed game time off the bench with regularity, growing into the side, learning the tactical role required of him and how to jell with his team-mates. He played in each of the first eight league games and in all but one of the UEFA Champions League group-stage fixtures, but as Benitez fought to keep the star names happy, it was inevitably the 21-year-old who was having to make way. Zinedine Zidane barely utilised the Croatian after Casemiro, Luka Modric and Toni Kroos became the go-to midfield trio, with Kovacic only playing in the league toward the end of the campaign when the regulars needed rest, in preparation for the bigger games in Europe. In that competition, Kovacic managed just 34 minutes on the pitch in the entire knockout phase, with 26 of those coming in the first leg of the round of 16. Simply put, he wasn't involved with any real relevance. It wasn't a surprise to see him linked with a move away, particularly when he didn't start at Euro 2016 for his nation, and Bild reported Borussia Dortmund (h/t Marca) as considering the Croat to replace the outgoing Henrikh Mkhitaryan. Staying at the Santiago Bernabeu instead gave Kovacic the opportunity to justify his move to Spain, his price tag and his talent—and this season he has been immense. Still not considered a starting midfielder, Kovacic has nonetheless seen significant time on the pitch due to absences in turn to each of the usual troika and has taken his opportunity with both hands. In both halves of the pitch, Madrid have benefited from Kovacic's presence this season. Early in the campaign, he was effective going forward, surging in his usual manner that enables him not simply to cover ground quickly but also to take two or three opposition players out of the game by shifting gears quickly and accelerating powerfully through the centre, opening up space for others and dragging his team up field. It's a trademark of the former Inter man, that ability to break from one half to the other in rapid time, not through speed in the sense of Gareth Bale perhaps but rather a surprising upshift and relentless, aggressive determination to beat his man. The issue at times has come with what comes at the end of that run; does Kovacic possess the composure and the execution to pick the right pass? This term, at least, the increase in confidence and reliance on his shoulders has seen him link more frequently and more impressively with the front three. His end product, in fact, is extremely similar to compatriot Modric's. Going forward isn't all he offers, though, and Kovacic's aggression translates to the defensive half of the field as well, in possession as well as out of it. With no Casemiro over the past few weeks, Kovacic has been entrusted partly because of his willingness to get involved with challenging for the ball but also because he is able to withstand teams who press high. He has the engine to work the length of the pitch and the motivation to play to a high level of intensity in the few weeks he has until Modric and Casemiro return. Already, this season Kovacic has racked up almost 52 per cent of the minutes on the pitch he managed in the whole of last season, with still almost six months ahead of him to improve that tally. With Kroos featuring in every match as the defensive midfielder regardless of opposition, competition or importance at present, Zidane has had to strike a semblance of balance in his midfield; rather than blindly trust to his attacking trio to do the grafting back required of them, the head coach's compromise has been to flip the triangle. 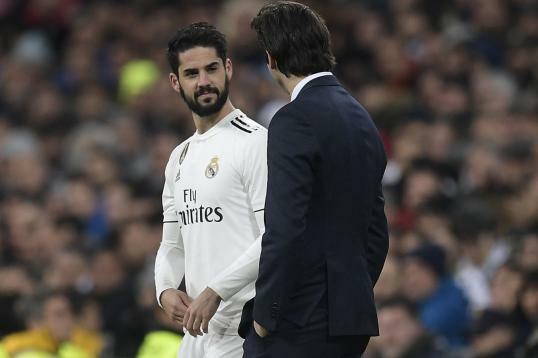 Rather than the 1-2 arrangement in the centre of the park seen early in the campaign, the past few weeks have seen Kroos and Kovacic sit as a double pivot, with one player—Isco, in La Liga—ranging ahead as the link between midfield and attack. Neither German nor Croatian are specifically prohibited from pushing on in the system in the way Casemiro usually is in a 4-3-3, and while it hasn't been perfect—both have roved up field at the same time more than once, both have been bypassed by a switch in play to the opposite flank—it certainly has afforded an error-strewn defence more protection than they might otherwise have enjoyed. That's in the present—but Kovacic has much to give the team in the remaining months of the season, too. As mentioned, he's not yet considered a starter in the way Kroos or Modric are, but he has shown more than enough to Zidane and his team-mates for them to now know an important point: When those two are missing, the team can play as usual, be as creative as usual and have the aggression in the middle they lack when Casemiro is absent. Moreover, he gives Zidane a singularly vital opportunity: to purposely rest those players before they get injured. Kroos is now up to 1,211 minutes of game time this season already, easily the highest in the squad, and approaching 10,000 minutes on the pitch for Madrid since he signed for them—only Cristiano Ronaldo can match that. It's unsustainable over the longer term if the team wants him at his peak, as was shown by the German's huge dip in form last season. Kovacic might not be considered a starter for when Real Madrid reach their next big semi-final or final, or when La Liga comes down to the last couple of matches. But make no mistake, in a game that is no longer only about 11 men, he is one of the ones who can help the side reach those occasions in the first place, playing a full part along the way.